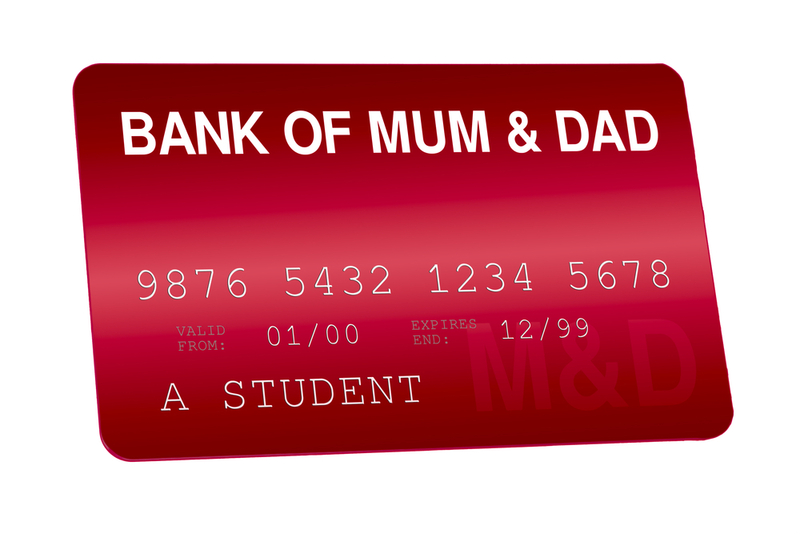 For years now, the bank of mum and dad has become one of the most significant factors in every millennial and Generation Z’s financial and life planning. Only 15 years ago the only account holders of Bank of Mum And Dad (or the B.O.M.A.D.) were the children of wealthy parents, since then the bank has grown into the 9th biggest mortgage provider lending on 1 in 4 transactions with an average loan of £18,000. Also, according to Legal and General in 2017 it funded over £2.3 billion in rental payments totalling an average of £415 every time, a rental payment is made. These staggering figures are the result of the ever-increasing prices associated with property. When using the BOMAD to buy property investment lengths can be a lifetime, and the profits are never realised. The returns of investing in property this way could be negligible if you cannot enjoy the proceeds of growth, so do the younger generations need the bank of mum and dad to invest in property? Moreover, if you do, is using these funds to buy a property with a mortgage the best way to benefit financially from property? It’s more than likely that the BOMAD will help borrowers pass any affordability tests as funds received from the BOMAD can help to boost the loan-to-value of the mortgage that they are applying for. In turn, this could lead to some borrowers overextending themselves on their mortgages. With the low-interest rates and high employment levels currently being experienced by the UK economy, this might not appear to be a problem, but times change, and your mortgage will still be your most significant financial commitment when this happens. The negative equity trap of the early 90’s maybe a distant memory for many, but more recently one of the major contributing factors to the housing crisis in the USA during 2007 were borrowers who had overextended themselves on their mortgages. At the time the UK managed to dodge this bullet, due to foreign investment maintaining property prices, in 2018 this has begun to slow. With the average loan from the BOMAD standing at £18,000, (down from previous years), the BOMAD could be facing troubled times. Reasons remain unclear but the ever-increasing living and retirement costs due to life expectancy, stagnant annual wage increase, low saving rates and pension changes are all putting pressure on the amounts that the BOMAD can lend. To put these factors in perspective, one cost in later life, residential care homes, comes in at an average price of approximately £32,000 per person for the first year, which increase over subsequent years, totalling around £82,000. Over the last 20 years, in a rather peculiar Ponzi way, the BOMAD became the lender that recycled the profits that Mum and Dad had made through higher property prices, to their children, thus property prices remained artificially high. This model is only sustainable if prices kept going up. Now that property prices in the UK are not growing at the same rate, and in some areas they are stagnant, straight up property ownership via the BOMAD is not the great investment it once was. Tax implications from BOMAD can also be problematic, these range from increased inheritance taxes from lump sums, income tax implications from loans and additional stamp duty costs associated with shared ownership. This can, in turn, add additional costs in lawyers and accountant fees. Due to it’s nature, unlike other banks, the T&C’s of the BOMAD can sometimes remain unclear. Increasingly customers of the BOMAD and the BOMAD itself are reporting that provided funding has caused friction between the parties involved. Problems range from unintended long-term house guests who can “pop around” and check in, with lenders feeling indebted because of their generosity! There are many economic and personal cons to using the BOMAD to get on the property ladder given the combination of high prices, slow growth, raising care costs, tax implications and the possibility of family friction, but consider: could the funds still be invested in property but in a more flexible and productive way? In part 2 of our BOMAD blog post, Brickowner will show how using new investments and technology that did not exist a few years ago can allow funds from BOMAD to benefit from property investment and provide income while avoiding the pitfalls mentioned above.